Car window tinting is rapidly becoming necessity for several car owners round the globe. The demand and popularity of tinting has led to development of several types of car tints which you can use for your car. Several people consider window tinting for personalising their car in their own desired way and to enhance its appearance. There are number of tangible benefits which you can derive from tinting your car windows in the best way. Car tint comes in variety of degrees and caters to different permeation limits and tolerance. The best thing about tinting the windows of your car is that it reduces the amount of dangerous glare that comes from different environmental elements such as snow, sun and other important elements that provide you enhanced safety during driving. Besides this, you can also enjoy long road trips during summer season, if the windows of your car are well protected from overheating. Further, car tint reduces glare that comes through large windows. It also enhances view, if in case glare gets reduced. It simply adds to your car’s appeal, whilst protecting your car from the harmful effects of sun’s rays. The best thing about car tinting is that it increases the life span of vehicle both in terms of mileage and interior appliances. Security & Privacy – If you want some privacy in your car, then with car window tinting you can achieve this. Several VIP’s including celebrities and prominent business personnel always ride in cars with tinted windows. Safety – Car drivers who drive cars with tinted windows are better protected from shattered glass especially in the event of an accident than drivers of cars without window tint. The best thing about tint film is that it holds shattered glass in position and prevents glass pieces to fly which avoids causing injury to car’s occupants. Less Energy Saves Gas – With car window tint, the interiors of your car remains much cooler and your air conditioners also don’t have to work hard. This in turn saves gas mileage and also keeps you comfortable while driving the car. Professional services – If you are deciding to get car tint or car windows tint, then it is advisable to get it done by taking help of professional services, instead of carrying out the work all by yourself. Moreover, with these professional services work is carried out in a fast and non-intrusive way. Besides this, there is minimal disruption to occupant’s lifestyle, work schedule or other important routine activities. 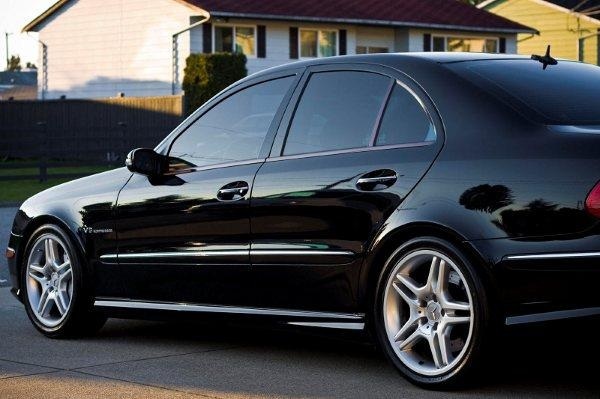 Style – Cars that have tinted windows usually have sleek appearance which in turn gives classy and sophisticated look. It can be said that car tint gives a whole new look to your car, whilst allowing you to enjoy number of benefits cited above. Thus, all this depends purely on the quality of the tint. Steve Shakelford specialises in writing automotive topics. He often writes on behalf of services specialising in car window tinting.